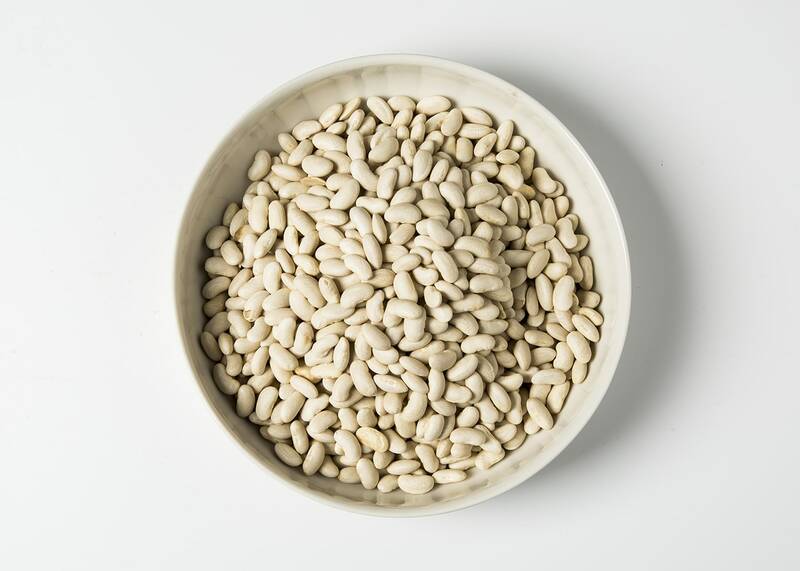 Cannellini beans from Poggio Aquilone in Umbria have a delicate flavor and silky texture that makes them the perfect nutritional boost for just about any dish. Toss them into soups, pasta and risotto, or serve them plain with some good olive oil and salt for a stellar side dish beside meat or fish. For a quick light lunch, toss them into a cold salad of tuna, parsley, and onion. Just ask Benedetta and Andrea Alberti what they think of their cannellini beans, and they will launch into stories of all the amazing things their grandma used to cook with them. Rich in fiber, protein, enzymes and minerals, cannellini beans are an ancient peasant superfood. They’re famous for keeping you feeling full longer, and boast an impressive list of health benefits: they help regulate cholesterol, lower blood glucose and blood pressure, preserve bone health and boost iron levels. In addition to cannellini, Bio Alberti also produce chickpeas, cicerchie (wild chickpeas), black beans, borlotti beans, lentils, farro dicocco, farro monococco, and orzo (barley).